Our Helicopter Flight is up to 20% Longer! Say Your Wedding Vows while flying over the Las Vegas Strip. Longest Flight over the LV Strip offered as we make a complete circle of the Downtown and LV Strip! ~ Hand Tied 12 FRESH Roses (you select available color) Bridal Bouquet along with the Groom's matching Boutonnière. 75+ Digital Photos on Average, 120+ sometimes as each wedding differs. Wedding Photos on the Tarmac by the Helicopter, inside the VIP Wedding Room, etc. Full copyright and no watermarks, ready to share, copy and print as you wish. Others Charge for what we INCLUDE! Wedding Photo/Video Link… We are the ONLY company providing this FREE Service. A link will be emailed to you that you may share and allow everyone to upload photos and video taken with their smartphone. 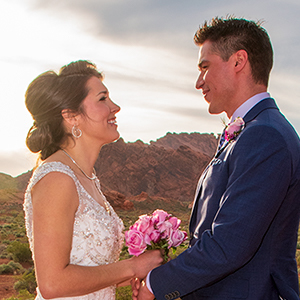 *HD Video - We record your Las Vegas Strip Helicopter Wedding from inside and outside of the Helicopter, Voice Activated mics allow for your Wedding Vows to be recorded directly on to Your Wedding Video. 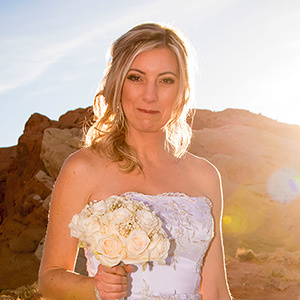 We will create a HD Video Documenting Your Las Vegas Strip Helicopter Wedding. We encourage guests to take Video and Photos with their SmartPhone. We are the ONLY Company allowing Guests to take Photos and Video with their SmartPhone. As for live feed, guests may use their Smartphone for FaceTime, Facebook live, etc (service depends on your carrier). The officiant will go over the details the day of the wedding with you. You may write your own vows, say a few words to each other, etc. The ceremony will be customized to your liking. Officiant will file the legal documents for you. Witness will be provided free of charge (if needed). Officiant works for a Donation (We Suggest $60 cash day of). Luxury Transportation (Limousines & Escalades) To and From Helicopter Pad (Service for Las Vegas Strip/Downtown Area). Transportation Service is complimentary and does not change the price of the package if not used. Las Vegas Weddings was great! 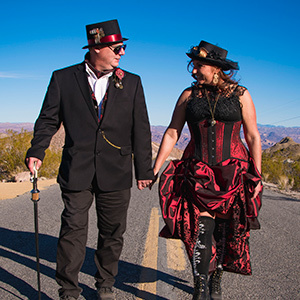 We had our wedding at Valley of Fire state park and we didn't have to worry about a thing. Everyone was fantastic, so friendly and helpful and they made our special day seamless and fun. I would highly recommend them. The staff at Las Vegas Weddings are hands down amazing! I am not local to the area and was planning a themed wedding. As most people know, planing any wedding can be , shall we say stressful, let alone a destination one with some needed specifics. I worked closely with Shawn to iron out all the details. Bottom line.....PERFECT!! The photos were wonderful and a ton of fun to do, location was perfect, staff...well again...AMAZING!. It truly was the best day ever. I am so grateful to Shawn and the staff if Las Vegas Weddings for making our day all that we hoped for plus a little bit more. Great experience! We did the Las Vegas Strip Helicopter wedding. Our officiant was wonderful and the rest of the staff was super friendly and accommodating. Our photographer / videographer did an excellent job and caught lots of great photos! They also provide you with a link to share with family and friends at no additional cost. 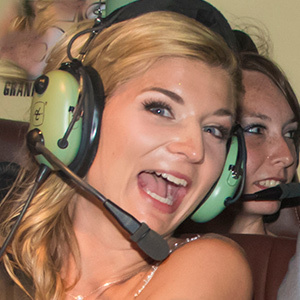 Helicopter wedding at night is the most awesome thing you can do. Everything was very wonderful. 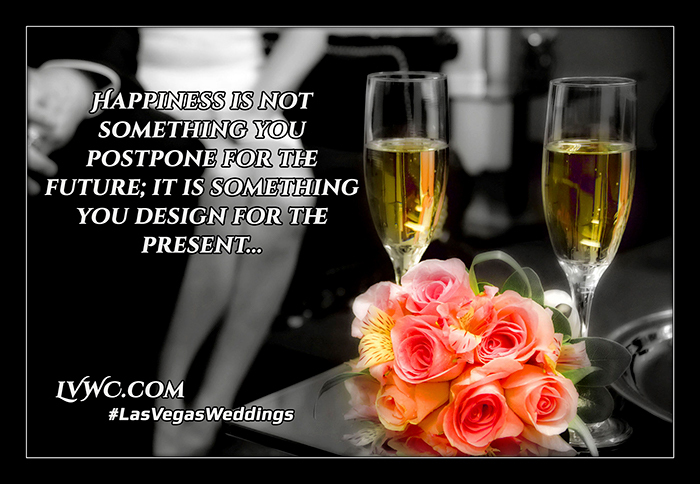 The video with sound was the reason to choose Las Vegas Weddings and it was the best choice ever! We love the video and everything. Thank you so much! This was perfect! We wanted something unique, and intimate. We weren't looking to plan a wedding and entertain; we wanted something special for just the two of us to get away, and marry each other without worrying about coordinating or planning anything. From contacting and scheduling, to the day of, everything was simple and I didn't have to think about anything! I was contacted to confirm a few details, we showed up, were married in a custom ceremony that was perfectly worded for the two of us, and we got some beautiful photos in a really unique location. I'm so happy we browsed the idea of a Las Vegas wedding and it led to this. It was the best day, and a great start to our new chapter as husband and wife. Thanks for everything!! 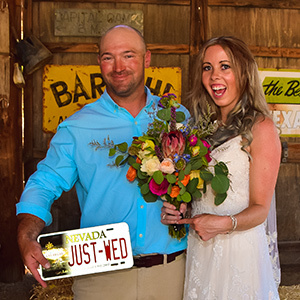 I couldn't have been happier with our ceremony and the ease of working with Las Vegas Weddings and Shawn! The price for everything was extremely reasonable and the location choices were unique and beautiful. They answered all my questions and made sure everything was perfect on our big day. I will recommend them to anyone heading to Las Vegas for a wedding!